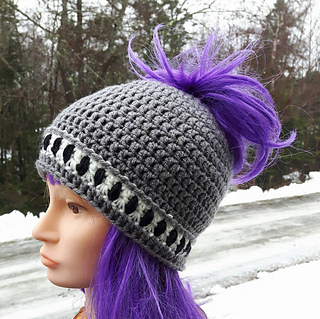 Ladies Classy Messy Bun Hat. It’s quick to work up and has a unique pretty brim. 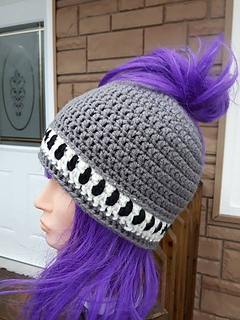 This is an easy pattern suitable for beginners and fun enough for the experienced.